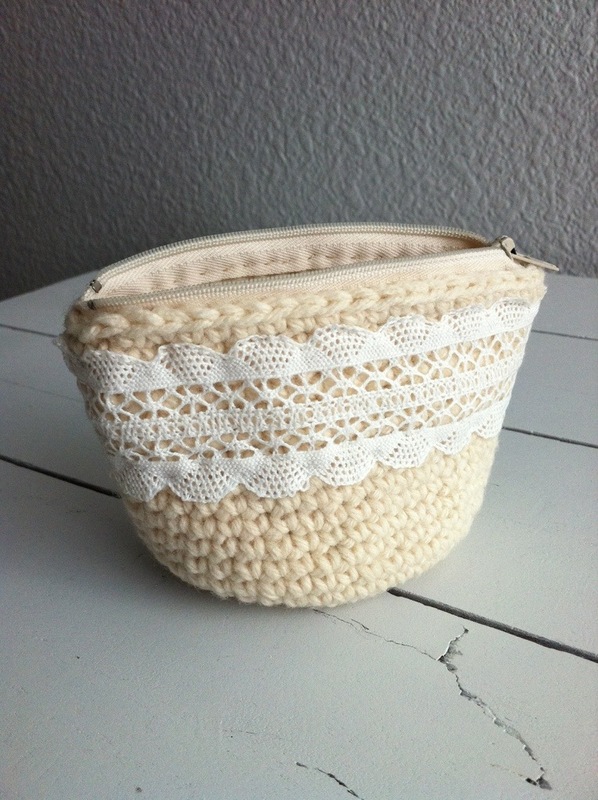 My latest tiny creation is this crochet coin purse accented with a vintage crochet lace trim! I started this project thinking it would be quick and easy but I did not take into account the time it would take to hand sew both the lace and the zipper. 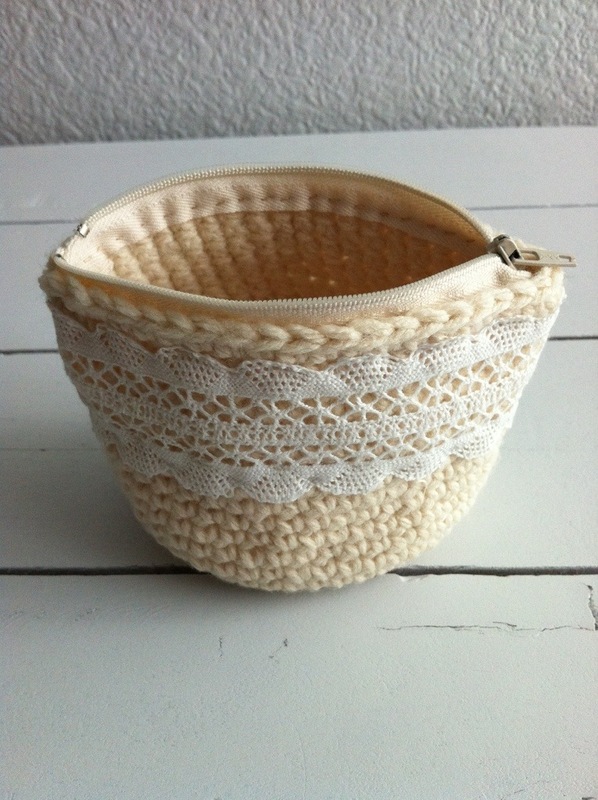 I Love the look of the white lace on the oatmeal colored yarn. Here you can see the hand sewn stitches I tried so carefully to make look not so ‘hand-sewn’. My OCD will make me do things like that. I didn’t want it to be obvious that the lace was sewn onto the body of the pouch, so my solution was to use clear/invisible thread. The end result was perfect, however hand sewing with clear thread was a PAIN! It is difficult to see the thread when placing stitches so any mistakes or hang ups can go unnoticed. Luckily the pouch is small so the frustration doesn’t last that long. Crocheting the body of the pouch was tough on my hands due to the tight single crochet stitch I used in a continuous round. 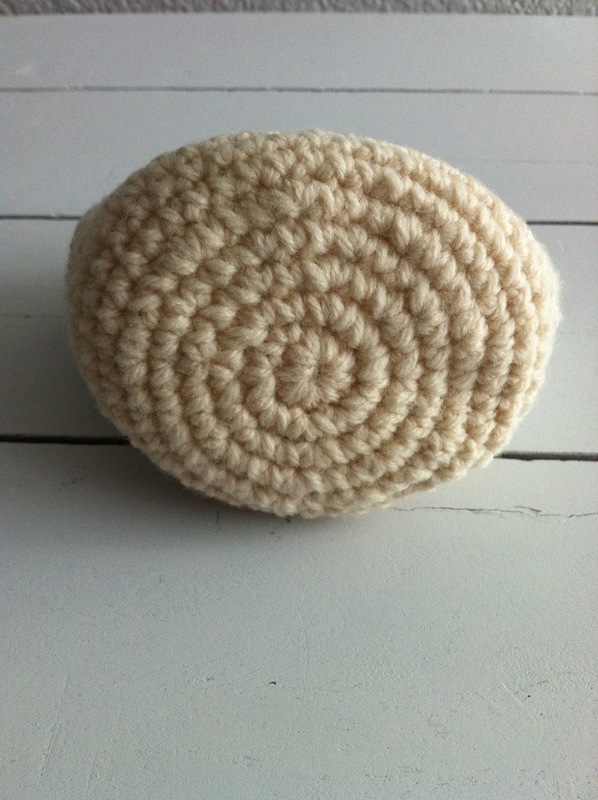 But the tight stitches makes a great pouch where nothing can fall out of. I love the look and functionality of this little guy. Can’t wait to find him in my purse.